I was working in the operations team of a tech startup when I decided to join Le Wagon in Milan (batch #181) and it turned out being of my best decisions. In my previous role, I was constantly surrounded by developers and somehow fascinated by what they were doing. I did not have any relevant coding experience or knowledge at that time (I graduated in Management Engineer) and little by little I started to feel limited because of that, while my curiosity was keeping on increasing day after day. Changing career path is never an easy decision but at Le Wagon I felt supported from the very beginning and most important, I felt part of its huge, international and talented community from day one. The energy and passion of the teachers are contagious, and their support and advise during the lectures and the final project invaluable. The course is intense, and you have to deal with a huge amount of information and new concepts every day, but the lectures and exercises are well structured and tailored so that you don't feel lost or overwhelmed. And in case this happens, you have access to all the resources and help you might need to go back on track. You won't remain behind! I am fully satisfied with my journey at Le Wagon, and I now feel confident to start a new chapter of my life as a developer. After the 9 weeks there, I can do nothing but compliment the whole experience. From day one I saw how beautifully diverse our classroom was, not only in culture but in knowledge of the field. Some had already worked as developers, and others were completely new to coding altogether. It was clear from the first lesson that our teachers were not just there for a paycheck, but legitimately cared that you understood the topics, as many of them have gone through the same experience. The focus of Le Wagon, I felt, was not to just teach you how to code, but how to think like a coder. Answers were never given to you (despite the occasional pleading). Instead a teacher would sit down with you and you would both brainstorm together, as it often is in a real-life setting. You learn to be open with your confusions and questions, and to ask around and discuss with teachers and classmates. This is something many classrooms wish to have, but I have never seen it done as successfully as at Le Wagon. The days are long, and the challenges are challenging, and as a result you really get to know your classmates and teachers. I’ve made very close friends in this bootcamp, and I still stay in touch with them, despite living on the other side of the globe. During those nine weeks can confidently say I know Ruby on Rails, and have built several applications using the skills I learned in this course. I can also tell you that I had a great many stories and adventures that will stay with me forever. Doing the course did feel like that first step I needed towards my new life and career. I will deeply miss Le Wagon, and recommend it to anyone who’s looking for that first step towards their future. Before joining le Wagon, I was working full time at a Bank and completing a bachelor degree in Software Engineering. Although I already had coding experience, I learned a lot of new valuable skills and explored new material during these nine rewarding weeks at Le Wagon. The teachers are very knowledgeable and helpful and take time to ensure you understand the material that is being covered. The curriculum is well designed to teach you everything you need to be a full stack developer. The platform that Le Wagon students use every day is impressive and provides you with a wide range of resources and material that can also be very useful after the Bootcamp. I was even able to prepare for parts of my technical interviews by reviewing these resources made available by Le Wagon's platform. The final project, which is completed during the last two weeks, gives you the opportunity to experience what it's like to bring a product to life from conception to final deployment. The product design sprint was a great learning experience as it equips you with the tools needed to tackle real-life entrepreneurial challenges. Following the completion of le Wagon Bootcamp, I was able to land a web development position at a great and reputable software company in Montreal. I am grateful for the valuable knowledge and experience that this program provided me and would encourage anyone who wants to change to a career in tech to join this excellent program. Never thought it would be possible to learn so much in only 9 weeks. Never touched code before the bootcamp but given the growing demand for people with any kind of proficiency in code I decided to get my feet wet and give it a go. The teachers were very helpful and were always great at explaining concepts whenever we were stuck in the coding chalenges. I can't believe I went from 0 to being able to build a full-stack web application in 9 weeks. I highly recommend this course for anyone who is looking to learn hands on programming without much prior experience. You will be amazed by your growth within 9 weeks, though you should also be ready to put in the work. After graduating in business three years ago, I started working as a project manager on innovative services and digital products for large companies. Working every day with designers and developers I realized that I lacked some technical knowledge, I felt like I was always asking dumb questions, or not understanding how much work was needed to build something. I decided to go to Le Wagon to improve my technical skills…it was the best decision ever! Le Wagon is an incredible experience. You learn so much in 9 weeks and meet amazing people. What I liked the most was the classes' practical approach and exercises. Every morning you learn new things that you apply in the afternoon to solve problems, even on the first day. The lead teachers are always available, and you still can get help from the teaching assistants who are there every day. The level is regularly increasing, you start with easy concepts then to building and launching a web app in the last weeks. There is also an excellent mindset between all students, really friendly, we all helped each other a lot. The alumni community is active as well, probably the best Slack on earth! Le Wagon doesn’t make you a computer science engineer, but it definitively gives you the keys to keep learning and start a new career as a developer. It is a robust and intensive nine-week bootcamp. You feel tired at the end of the day to the extent that your brain hurts, but the learning experience is so great. It is like you grow a new coding brain in 9 weeks. Teachers and lovely staff strive to create and maintain a unique environment where students can learn new technologies with the best practices and hone their programming skills in the best conditions 🌿 The courses are intense; be prepared to work hard. I learned a lot, very quickly and pair programming was a blast. The best part about going to Le Wagon is the amazing group of students and the robust alumni community that you get to be part of, it’s the perfect place to meet brilliant people ✨After the Bootcamp you’re still connected to everyone through Slack. I Would highly highly recommend Le Wagon to anyone wanting a career in tech, or anyone who want to build and launch new products with a lean startup mindset. If you are still indecisive : JUST DO IT. After 5 years of business school I graduated with a specialization in luxury marketing. My internships led me to work in project and digital project management. after a while, I felt that something was missing. I needed to DO something, not just supervise or manage. I wanted to see the result of my work at the end of the day, for the best and the worst. This 9 weeks at Le Wagon went so fast. It’s hard to realize how much knowledge you can assimilate in such a small amount of time. Every small victories leading to a urge to learn more. Also I think all the magic doesn’t come only from the learning thirst. Humanly speaking, it’s a blast of fresh air, It’s really amazing to be with all that people with different background, age, and share the same objectives. I like to drive projects from their beginning to their very end and used to consider my missions through a business and a marketing vision, Le Wagon gave me the technical view I needed. I quickly had opportunities and had to decide if I’d rather work as a Product manager or as a Developper. Today, I’m a working as Front-End Developper. My name is Stephane, and I’ll be 52 years old in a week. I have done many things in my life so far, including rock climbing (climbing and teaching), playing in a few bands for a number of years (none which you would have heard of), doing live sound for concerts for the last 20 years, teaching Qìgong... For the past 7 years, I’ve been studying and training in Chinese Medecine and Martial Arts. Last spring, I had to make a decision about what I wanted to do, money-wise, for the next 15 years of my life. And I remembered how much fun I had a year ago, when I was setting up my girlfriend’s e-commerce store and needed to learn a bit of HTML and CSS to do so. The magic of Code! Being able to create stuff just like that was fascinating. So I looked into programs and schools and found Le Wagon. Before investing time and money into a boot camp, I needed to make sure I was going in the right direction, and so I did the Build a Website from Scratch course on Codecademy. One night, looking up from my code and realizing 6 hours had passed by without me noticing, I knew I had found my new career. Meeting Guillaume and seeing how serious Le Wagon is about what they do convinced me. And I have to say, the boot camp has been one of the greatest, most intense, knowledge-crammed, frustrating, elating and most awesome experience in my life! Yes, it is tough. Yes, it is confronting and yes, you’ll get discouraged (especially at the end of week 3). But if you keep the pace, if you do your flash cards every day, if you gear up for a marathon and not a sprint, you’ll get through it. And I’ll bet you’ll feel extremely proud of your achievements on demo day (once the presentations are over). You won’t believe what you’ll be able to create after such a short period of time. Right now, I am working on my first (and quite imposing) freelance project: migrating an e-commerce store to a new platform, setting up an LMS class and grouping all of it into a Rails application. Lots of time spent on Google so far ;0). I'm also currently a TA for batch #188 in Montreal, a great opportunity I am deeply grateful for. Happy coding! I chose Le Wagon because of this ranking! I was reading a lot of good things but when the program started I was simply amazed. I did not expect such an ideal organization of the learning process. The platform we used during the bootcamp is really great and helps you to focus and find all the information in one place. The educational process is a perfect balance of lectures and practical assignments as well as individual and group work. Which means the lectures are kept short, about 1,5 hours in the morning, which leaves the rest of the day for hands-on exercises. Also, you work in a buddy-system and collaborate with your classmates a lot, most of the time you are solving the challenges individually and that’s where the learning is happening. Of course, always under the guidance and with the help of cool and talented teachers who are there for you whenever you need them. The last 3 weeks of the course we worked in teams building a working prototype and definitely gathered all the necessary skills to work independently in the future. Simply impossible to obtain this kind of knowledge studying by yourself online. My new professional life started from the first day of the bootcamp and now with the necessary tools, I can continue by myself. At the time writing this it’s been 2 months since I graduated and I’m still learning every day. I work on my own projects and also became a co-founder of a small web-company. The bootcamp not only teaches development skills but also boosts your entrepreneurship. It was really challenging but above all encouraging and rewarding. And two words about Bali – it’s a magical island and my new Love. I hope to return soon and not only once. the BEST bootcamp. Hands Down. Seriously, the only bootcamp that consistently ranks as amazing. The teachers, the people, the locations, are all world class. I was debating with a few American bootcamps, but this one has not only a core focus on programming competency, but entrepreneurship. There are literally people creating businesses right after the camp. Also, a place to meet some really interesting, cool people that are on a similar journey as well. I made friends with three of them specifically and I would definitely call them some of my best friends now. Easiest choice I ever made. After graduating in 2013 from an audiovisual school, I worked on film sets and in radio as a sound-engineer. For a few years, it had been difficult to find a job, I then decided to change career. Coming from a technical background, and always eager to learn new things, I turned to coding. A friend of mine had told me about Le Wagon, highlighting the rapidity with which the program trains you to a new job. The bootcamp had an immediate impact on me, not only because of the rich and intense curriculum, the quality of the innovative teaching methods, the people you meet and the community you join. Le Wagon was one of the best experiences of my life. They met the crazy challenge to demystify coding and to turn people who never wrote a line of code into developers. I finished Le Wagon on a Friday and the following week, I found my first freelance job in web development for 2 months at Schoolab. I then got a full-time offer as a fullstack developer at Scalia, a tech startup launched by 2 Le Wagon alumni, incubated at StationF in Paris. 6 months ago, I would never have imagined going this far in such a short amount of time ! I am a business graduate and worked as a finance professional before entering Le Wagon. Tech-related work always interested me and I tried to pick up bits and pieces about coding, but never really had the perseverance and wholistic knowledge resources to really get started in tech. Building a website requires knowledge about so many programming languages, frameworks, and concepts that I was never really able to bring all the pieces together. A friend of me told me about Le Wagon and the learning style seemed to be perfect for me. Le Wagon has an intranet with resources that help during and after the bootcamp. The bootcamp is built around this intranet and I learned how to solve technical issues with and without help from instructors. After the bootcamp, I was able to build complete websites with all sorts of functionality, design features, and user interactivity. As I started a data science degree program after the bootcamp, I benefited from the software development skills that the bootcamp provides to students. Now, I am not only confident in web development, but I can also transfer these skills to other software development-related fields. Our "batch" (that is the bunch of people that did the bootcamp with me at the same time in Berlin) was international to more than 50% and we spoke English 99% of the time. Everyone had a different background and almost everyone had a big career change coming up. After the bootcamp, I stayed in touch with many fellow students and we help each other looking for jobs and finding tech talent. I can recommend this bootcamp to anyone who wants to learn web development in a very short time. As a recent Oxford Classical Archaeology and Ancient History Graduate my uni friends are surprised when I tell them that one summer out of university I am a ‘Software Engineer’. However, that is the rapid level of development that you experience whilst at Le Wagon in only nine weeks - it is astonishing how much I now know about coding considering that on the first day I had no idea what the ‘terminal’ was let alone anything else. What might be more interesting to you is that within two weeks of finishing the bootcamp I accepted an offer to be a Software Engineer and started on the 1st of October (just 3 weeks after the course finished). Without Le Wagon’s training I wouldn’t even be able to dream about this! I’ve just finished my first week and have looked back at previous lectures to explain a couple of things that I’d forgotten – it really is the gift that keeps on giving, as the resources available after you finish are very useful if you are a developer. I’d recommend this course to anyone who is even slightly interested in coding, and is willing to work hard. Don’t be put off if you haven’t done maths in a while (I stopped at GCSE), and if you’re curious go to one of their events – you’ll get to meet some of the teachers, have a few beers and I’ll be surprised if you don’t want to sign up afterwards. As part of my business studies, I was first introduced to coding through data science. This experience led me thinking I lacked of technical skills and made me want to join Le Wagon’s bootcamp. I wanted to be able to actually build ideas from scratch and gain a deep understanding of how online platforms are built and work. I took part in the bootcamp of summer 2018 in Paris, and this turned out to be an amazing adventure for me. 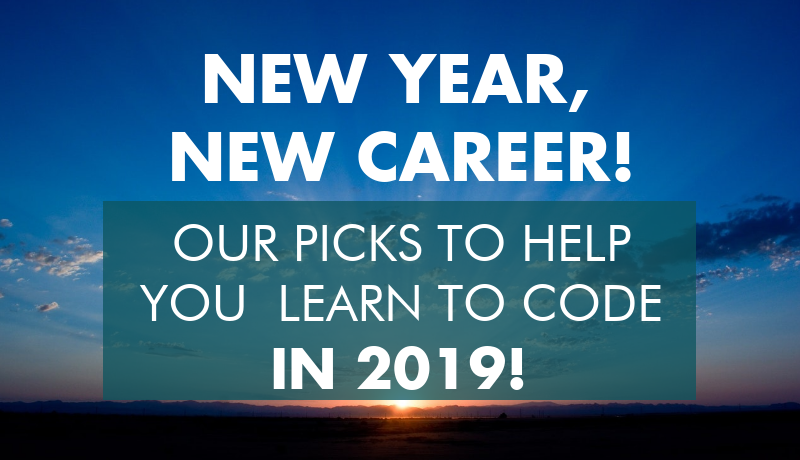 The course is perfectly structured for learning code as you learn by doing: you first assist to a coding lecture and then get to work in pairs with other students, which helps you reflect and understand what you are doing. The course is very intense and you will acquire plenty of tools to build your own projects afterwards. Teachers and TAs were great and passionate and always made sure to answer all the questions we could have. Apart from coding, I got to meet amazing people from very different backgrounds and I am very happy to be part of this unique community. It was an exceptional educational and human adventure that I can only recommend. A year ago I quit my marketing job to focus on a SaaS startup project. My dev associate wasn’t full-time though ; for months we struggled to make progress. So I joined Le Wagon. I loved every week of that Bootcamp: teachers and material are top-notch, it was interesting, it was challenging, it was exciting and I got to meet great people from many different walks of life. Now a month after our Demo Day, I am closer than ever to launching a MVP and feel empowered to do a lot more. If your looking to pull the trigger and commit to learning to code then this is the course for you. It is truly incredible how much you can learn in just 9 weeks. This course was both incredibly challenging and extremely rewarding. The small class size means that you form a strong comeradery with your fellow classmates and you get as much individual attention as you need from the teachers and TA's. The teachers and TA's and Le Wagon community is absolutlely incredible, the teachers were all previous Le Wagon students and so know exactly what you are going through! The course curiculum is very well designed for accelerated learning, compounding your knowledge each day and with lots of interesting challenges and great review exercises/flashcards to keep you on track. I really enjoyed all the extra events, workshops and seminars available throughout the course; career coaching, tech recruiters, product management and UX design workshops etc..
Couldn't recommend this course highly enough. Hi, I joined Le wagon last year (#Batch-100) in Paris after a few year working as a project manager on Business Transformation programs. I was pretty frustrated by the length and the complexity of digital transformation by then. Why is it so long, so expensive, so crappy to get a product done for a train company? when you have been using apps like uber or airbnb for 3 years and that you see the product improving on a regular basis? No need to talk about their growth as well. Actually i wanted to learn how to make a digital product, to really make it myself and that's what i found at le wagon. Today i m managing a team on a start up project inside a huge group on product to improve elderly day to day life, and i am about take an executive team on tour at Las Vegas CES 2019. As a communications strategy/content/design professional, I went to Le Wagon bootcamp knowing html, css and the communications side of digital projects and no computer science background. Simply put, it was a very tough and rewarding experience. I learned a lot about coding and new perspectives on problem solving. Some challenges are set up to make things difficult for students. This might be frustrating during the excercises but it is meant to enhance the "real world" qualities of the bootcamp. It is important to set expectations: anyone with a profile similar to mine will not leave the bootcamp ready to hit the ground running. It will still take a bit more time, dedication and work to become proficiencient enough for employment. In a relatively short period of time, this bootcamp is a great opportunity to gain a working knowledge of coding in Ruby on Rails and the developer's environment. It could also be useful for anyone who is not necessarily aiming to become a developer and plans to work with them or in the tech world. I would go back and do it again in a heartbeat. When I took my ticket for Le Wagon a few years ago, little did I know about this adventure I was embarking on. Behind the machines, algorithms and complex numbers, I actually came across outstanding men and women, exciting projects and amazingly instructive stories. It’s a real community full of passionate entrepreneurs, with very different profiles and backgrounds, who all share the same thirst for learning and sharing the digital culture. From that point on, no matter which path I take, I know I’ll always be able to rely on Le Wagon’s family! Choosing Le Wagon is a bit like choosing the Orient Express. It’s first-class or nothing. My name is Mathieu, after graduating with a masters degree from a business school in Paris, I worked for two and half years as a project manager in a communication agency. I really enjoyed my role but one thing was greatly missing for me, I wasn’t working on what I considered inspiring projects. After thinking on what I wanted to do, I realised inspiring projects were for me innovative and digital ; and I realised that I was lacking a deep enough knowledge of the digital world for me to apply to companies that interested me. So I quit my job and decided to learn how to code. I decided to go with Le Wagon because I had different objectives that, after some research, I believed this organisation could fulfil. First I wanted to learn how to code to understand precisely how it all works, for me to communicate with a developper. Second, I wanted to learn how a digital group work is carried out. Third, as I quit my job, I thought to myself that if I really liked it I could change my professional field. Fourth, I thought as I discovered the limits (or absence of limits) of the digital sphere, I could come up with my own business idea or follow and help someone who wanted to develop his own cool thing. After doing Le Wagon during summer 2018, I realised that these objectives where completely met (or possible) and I got to learn much more. Le Wagon is an amazing learning experience. The program is intense and really well done ; the courses are technical, you are always coding and moving forward. But still you are never overwhelmed as teachers are professionals, plus they are always available whenever you struggle. The program ends with a two weeks creation and development of an idea you or one of your fellow students come up with. This was a great confidence booster for me, it made me realise I technically could do almost anything. Le Wagon was also a great human experience for me. I got to learn a lot from the past experiences of the teachers who are all super nice, but I got to learn more from my fellow students. Everybody has different objectives and come from different professional spheres and no one knew how to code at the beginning. And thanks to the format of the courses, everybody is very helpful to one another. Today, after giving myself a few days of vacation I am searching for a project manager or a product owner position. With this new technical background, I get (and I want) to be more picky of the companies I apply to, and I have already landed some first interviews. I worked in the Wealth Management industry in London before quitting my job and signing up to Le Wagon. Although I found a lot of pleasure and joy working in this sector, I’d always aspired to evolve in a less formal and more forward-looking environment such as tech. After doing some research on the topic, I came across Le Wagon which had acquired a solid reputation on teaching coding to their students in a dynamic and startup-friendly framework. These guys were my natural choice to embrace a new challenge. The bootcamp turned out to be very intensive, with a lot of stuff to be learned, especially in the beginning. Thanks to Ed, the London manager, and his constant flow of positive energy, I felt very comfortable throughout the learning process. Also, the course allowed me to meet many interesting people from very diverse backgrounds, all exhibiting relentless hunger for change and self-improvement. The teaching assistants showed enormous committment and would spend all the time needed to provide extensive explanations on a given problem. After 6 weeks of in-depth learning, students get the opportunity to apply their newly-aquired skills on practical projects. I was lucky enough to lead a team of 3 working on my idea: we developed a mooring booking app for narrow boats using busy London canals. Personally, I had a lot of pleasure addressing a genuine problem using tools that I’d never thought of before. After completion of the course, my objective is to join/launch a start-up. To any aspiring coder/entrepreneur, Le Wagon is the perfect place to start your journey. I was a student in the Bali 163 Batch that started in June this year. After years of working in a job which I did not feel challenged in any meaningful way I wanted a change; and decided to invest my time and money into the Le Wagon Bootcamp. I won’t lie, it's very very intense. And in Bali the camp runs in 8 weeks which means working on a couple of Saturdays. Nevertheless I can confidently say that this was one of the best things I have done in my life. I did not have a computer science background; and at the beginning it was difficult for me. However the one thing that ran throughout the bootcamp is that you never work alone. Whether it’s the Buddy system Le Wagon have in place or the amazing TA’s and teachers that were there to guide me through concepts that I had difficultly grasping, I always had help when I needed it. Where I couldn’t have coded my way out of a paper bag before I’ve now already built a couple of projects. I remember one of the TA’s saying the best thing about Le Wagon was it’s fantastic sense of community, and I can’t refute her. I visited Le Wagon in Melbourne whilst travelling and was invited to dinner and was shown around their study area. I’ve spoken to a few alumni’s and they’ve all had similar experiences. The vibe seems to be amazing throughout all Le Wagon locations and its network. My suggestion if you’re pondering a change of career and want to jump start your coding expertise by attending a bootcamp; choose Le Wagon. I’ve yet to speak to anyone who’s finished and regretted it. Good luck! Long story short, Le Wagon rules. Long story long, once upon a time, I received a course on programming. The course covered loops and conditional statements, and we were aided mainly by pen and paper. In the end, we were told: "Now you know how to program!". Though encouraging, this statement was false. It was the equivalent of saying: "I have taught you how to make bricks, now build me a house". Learning coding is like learning a language, it is difficult and tough but also extremely interesting and rewarding. As teaching methods go, Le Wagon nailed it! They have managed to make the learning of a very complex subject into a true pleasure. By dividing the subject into small lessons and adding interesting and challenging factors to each of them they "trick" their students into absorbing every little ounce of knowledge the can handle. The course is designed not so that they can teach you, but so that you may learn. Comprehensive lessons and an incredibly supportive staff lead you up the steps to finally and truthfully be able to say: "Now I know how to program!". Conclusion: if you are even remotely thinking about this, apply, you will not regret it. Le Wagon will change your life! With a background in Chemistry and then orchestral performance, coding didn't seem like the next logical step for me. It's something that I had always been interested in from afar, as something I might have enjoyed if I had started at a younger age, but perhaps I had missed the boat. At the same time, at 31 I wasn't sure if a total career change was the best idea for me, since it inevitably involves retraining and starting again at the bottom rung. My friends in the industry assured me it was definitely possible and that it's becoming a much more common route in, so I started to look at bootcamp courses. Le Wagon was overwhelmingly well reviewed, so I enrolled. Look no further: Le Wagon will change your life. Obviously from the great reviews, I had high expectations from the course. These were blown out of the water. Le Wagon has been the best educational experience of my life. The course is intensive - it really is non-stop for 9 weeks - but you come out the other end as a well-rounded full-stack developer, ready for employment. This is the most important thing: the syllabus at Le Wagon is so well designed, you're not just churned out the other end knowing whatever topics were chosen by the founders 5 years ago, the course is regularly updated to reflect the most important relevant changes and language versions that are becoming more widely used. You really feel like you're ready to slot into a professional development team by the end. The course caters for people of all aptitudes. For people taking to it quickly, there's supplementary work you can do to push yourself. For people finding it more challenging, there are teachers and teaching assistants absolutely everywhere, and they are there to help! There are also sessions organised for people who want to re-cover some old material to help them keep up. You're always paired up for your daily challenges, so it's also a great opportunity to learn from each other and figure things out between yourselves. Apart from the fantastic teaching and learning experience, Le Wagon is an extremely sociable course. You're always paired up with different people every day so you'll quickly meet everyone on the course, and there are regular social events organised by the staff. It's an intensive course, so you'll make close friends super quickly - you're pretty much spending all day every day together! In summary: I hadn't written a line of code before the start of this year. Coming out of Le Wagon I am starting a new job as a junior developer two weeks later, with good pay. Le Wagon makes this possible! It's the real deal. Viva Le Wagon!